Conventional wisdom prevails. If it ain't broke. Break it. Which gargoyle will work the best (in terms of speed & stability) with this version? I use version 1.8.1 with this router - everything is fine. I've just installed 1.8.1 on my TP-Link TL-WR1043N/ND v1 and it's working perfectly. Thanks. It seems it's working ok with v1.8 also. 1.9.0 seems very stable to me, 1.6.2 was the best till now. 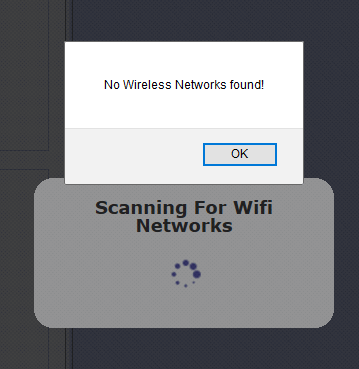 I noticed a single bug, If I use it in Wireless Mode: Client and the Wi-Fi network that I had it connected doesn't broadcast anymore, Wi-fi network scanning returns me the same message "No wireless networks found", I had to manually write the SSID to an existent one so I could use again the scan option. Scanning was rewritten in 1.9.X so i think this behaviour is fixed. Another bug that I noticed in all versions is that even if I change the hostname and domain from identification.sh, only on the first change seems to propagate in the network, if I change again those fields, when I do a network scan with Fing I still see the old data. Only after a factory reset I could get to have it properly changed.